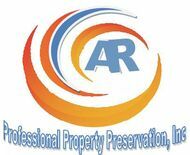 Asset Resource (ARPPP) is currently seeking quality property preservation vendors, general handymen, and grass cut vendors to service and maintain vacant properties. Services include completing the requested items on a work order to our client's standards and taking complete, detailed photos documenting all work performed and all bids placed. Ability to adhere to specific turnaround times and great communication to our office staff is a must. Must have an Aspen Grove number or able to obtain one and insured with general liability, auto and workers comp (or waiver). We require you to have your own vehicles, trailers, tools, equipment, computer, smart phone, and supplies that include bank coded knob locks, deadbolts, padlocks, hasps, lock boxes, lumber, building supplies, tarps, RV antifreeze, etc. All contractors are paid on twice a month and we have work orders ready to assign in most areas. Please visit us at arppp.net to learn more and complete a vendor pre-application.